We can’t visit Orlando – the theme park capital of the world – without some sort of planning. There are theme parks to visit, attractions to see, characters to meet, restaurants to eat at, shops to spend money in, and even a bit of rest and relaxation here and there! Without a plan, we could be left wasting time, figuring out if we should go to Disney’s Magic Kingdom, or to Universal Studios; or driving around deciding to eat at Bahama Breeze or IHOP (Bahama Breeze will always win for us!). Then there are things like FastPass+ and Advance Dining Reservations (for Disney theme parks), that you have to think about in advance. All this can be a minefield for first time visitors – and even subsequent visitors too! Walt Disney World and Orlando Vacation Planner! There are four downloads available – pick the one that suits you the most. Continue reading to learn what is included in these free printables. » The free downloads are at the end of this post. 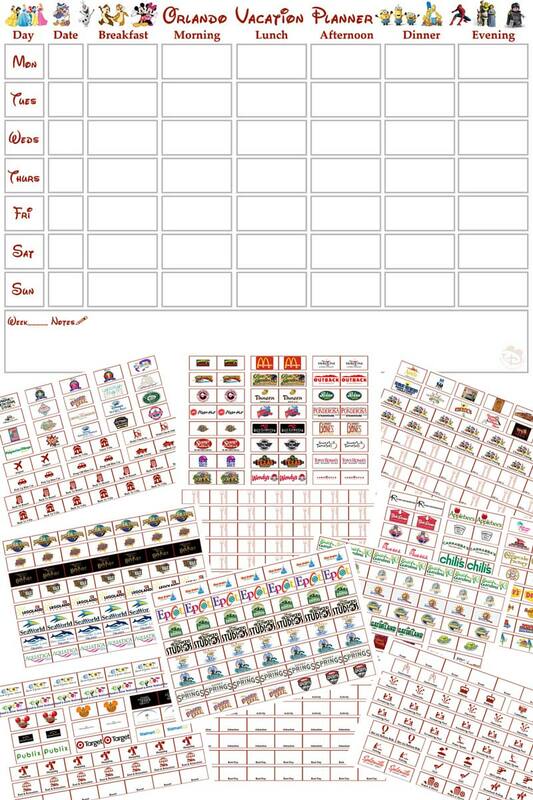 I try to give as many options as I can with my printables, so to that end, one set has the days pre-filled – which is great if you’re going Monday to Sunday, but in case you are not, the other set has the days left blank for you to fill in. 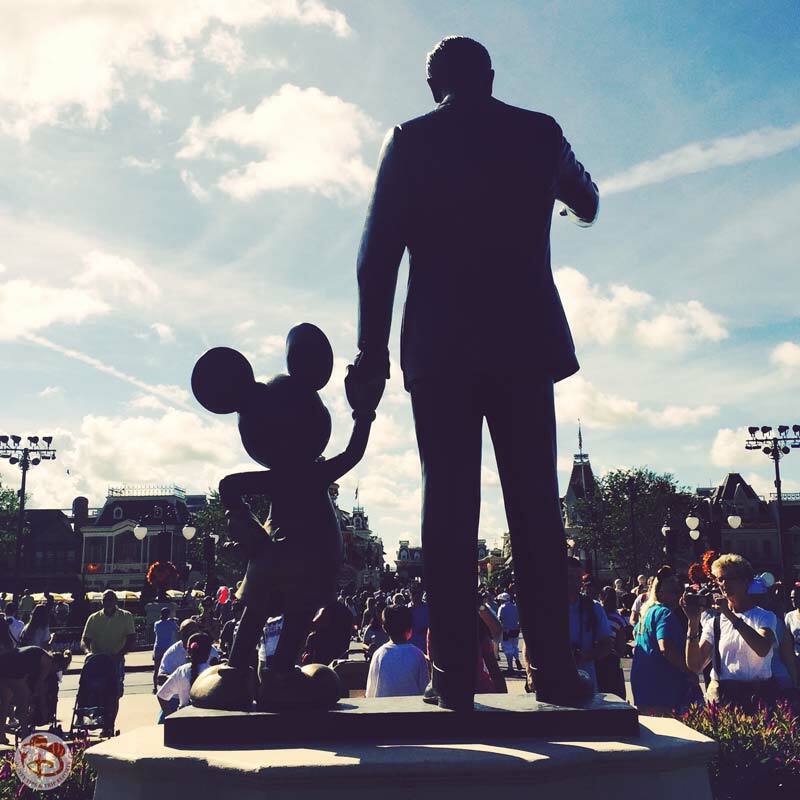 What’s in the Walt Disney World and Orlando Vacation Planner Free Printable? If you think I’ve left anything out, just leave a comment on this post, and I will endeavour to include it in the next update! I’ve created a week-to-view calendar with space to write in the Day and Date. There are sections each day for Breakfast, Morning, Lunch, Afternoon, Dinner, and Evening. I’ve made a huge set of Labels that you can print and cut out – use the labels to shift your plans around, and when you’re happy with everything, I suggest sticking everything in place. And if you just want to hand write everything, of course, you can do that! I personally switch things around a lot in the initially planning stages, the labels make sense to me! I’ve had users of my original printable tell me they laminate their plans (great idea!) and others pop it into a plastic sleeve. Whatever works best for you… just don’t forget to take it with you! Right, onto the labels. I’ve tried to include as many things that I could think of – all of the major theme parks, and attractions, as well as a selection of (mainly offsite, i.e., not in a theme park area) restaurants, shops, shows, and activities. 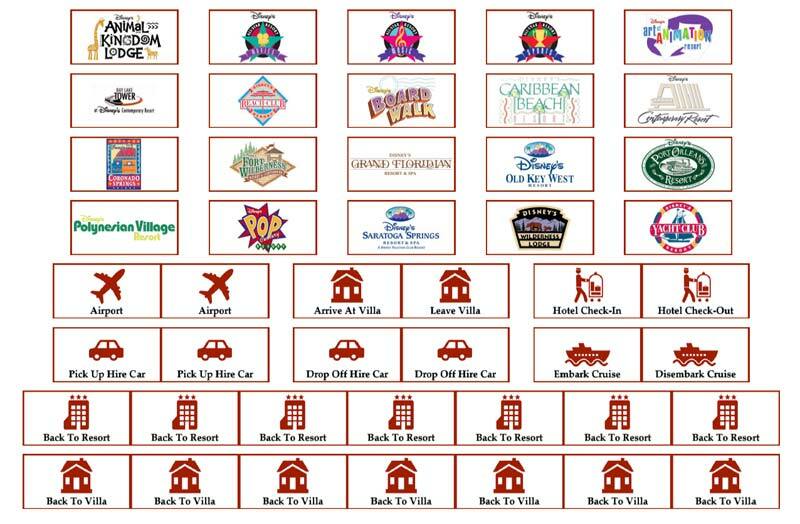 I’ve only included Disney resorts in this Orlando Vacation Planner, but will add other resorts in the next update. Similarly, I’ll also be adding in the onsite restaurants in another update. The expandable menus below list the labels that are included in the planner. 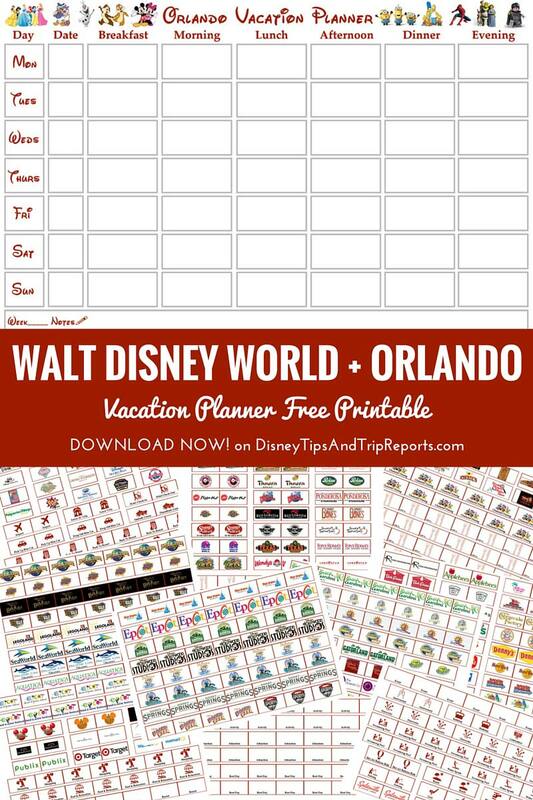 They were ones I could think of, off the top of my head whilst making this Walt Disney World and Orlando Vacation Planner Free Printable. I will be adding more restaurants and resorts in future updates. Keep scrolling for the actual downloads! The expandable menus only list what is in each set! In future releases, I’ll add more Disney restaurants! In future releases, I’ll add more Universal restaurants! *Blank labels for you to fill in! All of my content is free for you to download, share and use (please credit this website when you share! ), but if you would like to buy me a Dole Whip Float to say thanks, you are welcome to do so via my PayPal page here! I’ve added new labels to the planner! They have been updated on the existing downloads below, or you can download just the NEW labels here. The new labels are for Disney Cruise Line, Castaway Cay, Volcano Bay, Celebration, Old Town Kissimmee, Epcot International Festival of the Arts, Disney’s Hilton Head Resort, and Disney’s Vero Beach Resort. I will be adding Signature Restaurants, and other restaurants as soon as I can! Don’t forget to share this printable with anyone you know that is planning a vacation to Walt Disney World and Orlando! You can also save it to your Pinterest boards using the button below! You may well have already downloaded my original free printable on The Purple Pumpkin Blog, but this one is bigger and better! « Day 9: Two Parks, One Day / WDW-40, 2016 » Mickey’s Very Merry Christmas Party – Tickets On Sale NOW! I LOVE these! You have “blocks” for embarking and disembarking a cruise; please consider adding “blocks” for the Disney Cruise Line itself. Thanks! Ooh, great idea! I made the ones for cruise, thinking just Disney Cruise… but I can certainly add ones just for the Disney Cruise Line! Those planners are a great idea for making sure you make the most of your Disney adventure. I can’t go on a Disney holiday without a plan! Do you have a word version so that I can insert the images without having to manually cut and paste? Hi Donna, Unfortunately, not at this time – this is a free printable rather than something to use on a computer. It’s something I’ll look into for future updates though.